Crown rot commonly affects many types of plants in the garden, including vegetables. However, it can also be a problem with trees and shrubs as well and is oftentimes detrimental to the plants. So what exactly is this and how do you stop crown rot before it is too late? What is Crown Rot Disease? Crown rot is a disease caused by a soil-borne fungus which can survive in the soil indefinitely. This fungal disease is often favored by wet conditions and heavy soils. 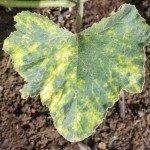 While symptoms may vary from plant to plant, there is often little you can do once the disease occurs. 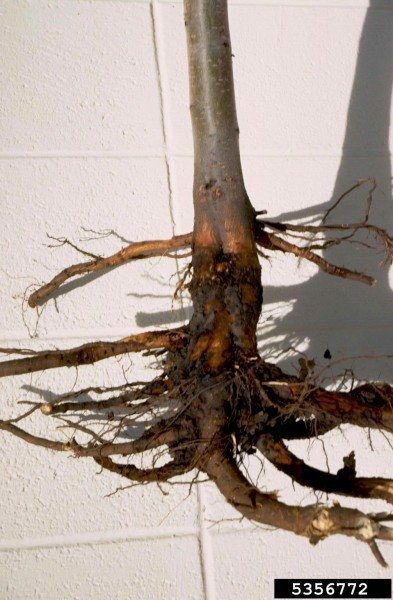 While the crown or lower stem of plants affected by this disease may exhibit dry rotting at or near the soil line, most other symptoms often go unnoticed—until it’s too late. Rotting may appear on one side or only on lateral branches at first and eventually spreads to the rest of the plant. Infected areas may be discolored, usually tan or dark colored, which is indicative of dead tissue. As crown rot progresses, the plant will begin to wilt and quickly die, with younger plants being more susceptible to death. Foliage may yellow or even turn a red to purplish color as well. In some cases, plant growth may become stunted, yet the plants may still continue to put out blooms, albeit few. Tree may develop dark areas on the bark around the crown with dark sap oozing from the edges of the diseased area. How Do You Stop Crown Rot? Crown rot treatment is difficult, especially if it’s not caught early enough, which is often the case. Usually, there’s little you can do to save plants, so prevention is important. Once the first signs of crown rot are noticed, it’s best to simply pull the infected plants and discard them promptly. You’ll also need to sanitize the area and surrounding soil to keep the disease from spreading to nearby plants. Amending heavy, clay soil will help with any drainage issues that normally encourage this disease. 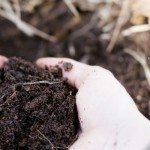 Avoiding overly wet soil around plants and trees is important. Water plants only when necessary, allowing at least the top inch or so of soil to dry out between watering intervals. When you do irrigate, water deeply, which will allow plant roots to benefit the most while allowing you to water less often. Rotating vegetable crops, like tomatoes, every couple of seasons can help too. Trees will usually not survive either, depending on how bad they’re affected. However, you can try cutting away the affected bark and removing the soil from base of the tree down to the main roots to allow the crown to dry out. The use of fungicide can help prevent the disease but is usually ineffective once it’s completely taken hold. Captan or Aliette are most often used. Drench the soil (2 tbsp. to 1 gal. of water) while somewhat dry to allow the fungicide to penetrate well. Repeat this twice at 30-day intervals.